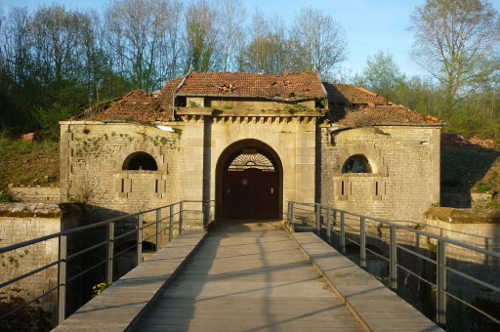 The fort of Peigney is near the village of Peigney in Haute-Marne in the south of the Champagne region. It is about 2 kilometres from the walled town of Langres and near to the camping site and the reservoir of La Liez, on the road D52. The Fort de Peigney is one of eight detached forts which were built to protect the city of Langres in north-eastern France. 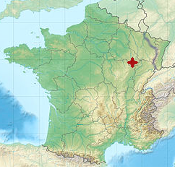 The other forts are la Bonnelle, Cognelot, Montlandon, Plesnoy, la Pointe de Diamant, Saint-Menge, et Dampierre. It was later incorporated into the defense system developed by the General Séré de Rivières in the late 19th century to protect France against a German invasion. The forts of this period were of a simpler polygonal form than the large star fortresses developed by the military engineer Vauban in the 17th century. With improvements in artillery, cities had become too vulnerable to long range canons. The solution was to build a series of small forts in a ring around the city to be defended. The fort of Peigney is an example of this type of fortification. It is one of the last forts built before the introduction of new techniques of fortification by Séré de Rivières. 16 June to 8 September, Sundays at 3:00 pm. July and August, Saturdays and Sundays at 3:00 pm. 3.50€. Free for children under 12 years old. It is possible to arrange visits for groups of at least 15 people. Please contact us via the contact form. Please note that visits are normaly in French. However there are explanation panels in English, at various points on the tour. Our English speaking guide is usually present on Saturdays. Saturday 7 et Sunday 8 September : Reconstruction of a military camp by the reenactement group Militaria, with a combat on Saturday afternoon and another on Sunday morning.